When you’re preparing for a big trip, it is great to know you’re prepared with the best traveling gear. Clothing, electronics, and luggage choice can go a long way toward making your trip safer, more comfortable, and more enjoyable. Well-made knives have been mankind’s most basic and reliable tool for a long time, so don’t underestimate the value of a good knife and the uses you can get from it while traveling. Here are some factors to consider and a few options worth considering. This consideration largely depending on the kind of traveling you will be doing. The restrictions on airplanes are understandably much stricter with regards to knives than other forms of travel, so if you are taking a plane, then plan accordingly. This means your favorite ESEE machete is not going on the plane hanging from your belt! But, while this is obvious, knife regulation varies widely from state to state. This means even if you’re not flying and will be simply taking a road trip, you could land yourself in trouble with authorities if you have the wrong kind of knife in the wrong state. Some places like South Carolina have few restrictions on what you can carry, while California, for example, has much more strict laws. What’s the best approach for this? Err on the side of caution and check all laws in areas you might be traveling. This goes double for traveling abroad; most countries have stricter laws than the U.S. For example, having a knife of any kind in public in London is illegal, in part due to the amount of knife crime there. It should be easy to check in advance what you should be allowed to carry. There is no doubt that some knives stand head and shoulders above others in terms of craftsmanship and durability, but a bad knife suited to the job at hand is infinitely more useful than a knife—ill-suited to what is required. A switchblade won’t be much use at dressing a hunting kill, and a machete won’t be great for opening boxes. 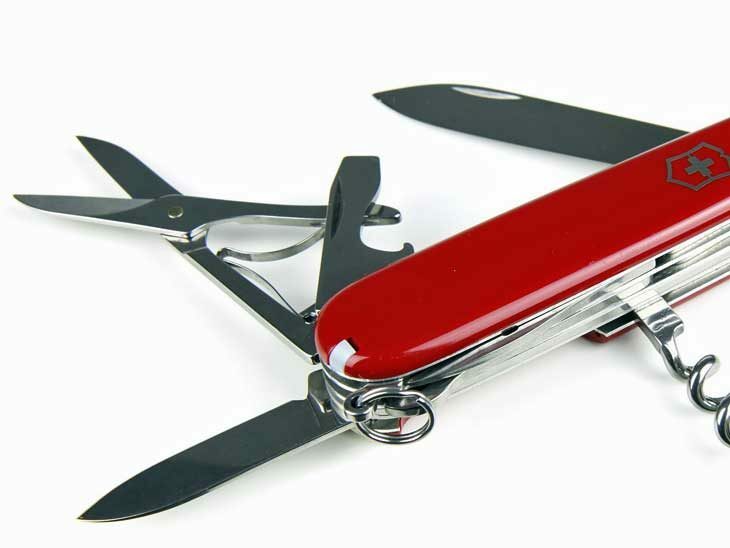 Knives have many uses, from opening boxes and chopping fruit to bushcraft while camping. 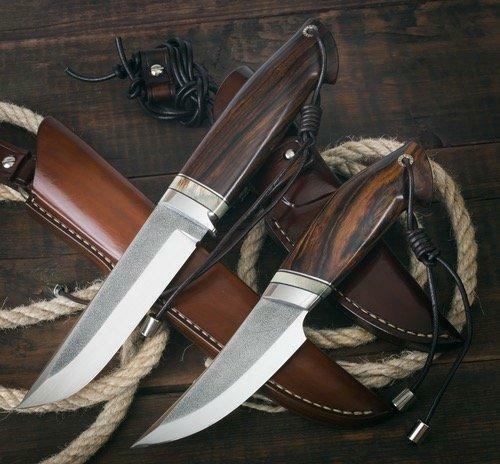 By and large, most people would use a knife for a combination of outdoor tasks, security, or general purposes. Folding fixed-blade: While fixed-blade knives are more sturdy and easier to use for difficult tasks, they are more likely to be illegal and much more cumbersome to carry. For these reasons, a folder is more appropriate for most kinds of travel. Blade type: Drop point blades are generally stronger and sturdier than clip-points and are thus better for most general tasks. But, with the range of options available, from tantos to a nice sheepsfoot blade, read up on the different types of blade to determine which type suits your needs. Handle material: The old-fashioned charm of wood or bone blade is undeniable, and these materials hold up well for most purposes. Newer materials like micarta are more durable, lighter, and provide a better grip. If your traveling needs include heavy-duty tasks, then a synthetic handle might be best. Blade size: A shorter blade is nearly always better for traveling. Even the most demanding hunting chores can be handled with a 4-inch blade, so, realistically, a 2-3-inch blade will be fine for traveling. If you’re a regular traveler for work or recreation, investing in a good knife can be rewarding since you’ll get a lot of use from it. Many manufacturers make high-quality blades for under $100, which will compete well with much-higher-priced products. But, if you have more to spend, you can find some enduring works of craftsmanship for good prices that should last a long time. 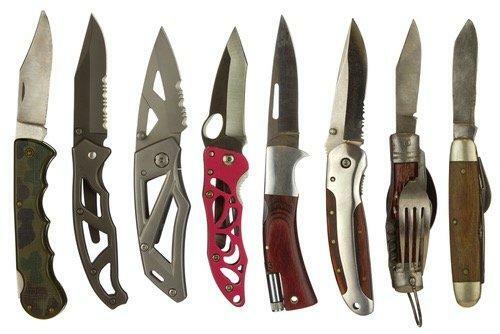 Air travel: This is the strictest category, and most knives won’t be allowed for carry on. 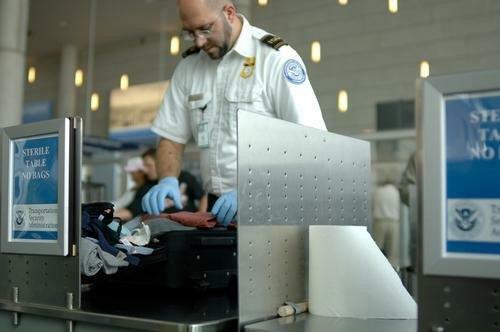 But many manufacturers, especially Victorinox and their famous Swiss Army Knives, are designed specifically with TSA regulations in mind. Road trippin’: If you’re staying in the U.S. and driving long distances, you’re probably looking for a versatile knife that can handle day-to-day tasks required on the road, as well as a few automotive tasks. For this, you should have something you can comfortably keep on your person and get access to easily. For this, something along the lines of the Kershaw Launch 4 would be a great option. Outdoor travel: If you’re going to be exploring the great outdoors in combination with your traveling, then something more heavy duty (but also low-key and handy) is what you need. A knife like the ESEE Candiru is a nice option. It’s is unobtrusive, easily accessible, sturdy enough for small bushcraft tasks, with a full-tang and drop-point. Imagine hiking alone and being without a knife. It would not be fun without a knife so you better prepare now. When you’re on the road for business or pleasure, it is a good feeling to know you’re prepared for what could come up. A good knife has many applications, and, regardless of the type of trip you’re taking, there is nearly always something you might need a knife for, from slicing an apple to cutting a tag. Legality, portability, and durability are the main concerns. A folding, drop point, discreet blade of fewer than 4 inches is, in most cases, ideal, but this depends on your needs. Thankfully, there are lots of great manufacturers catering to those who need a good traveling knife. Is there anything else we should know to get the best knife for travel? Please share in the comment section below or via email, on Twitter, Facebook , Instagram or Google+. We would love to hear from you! !